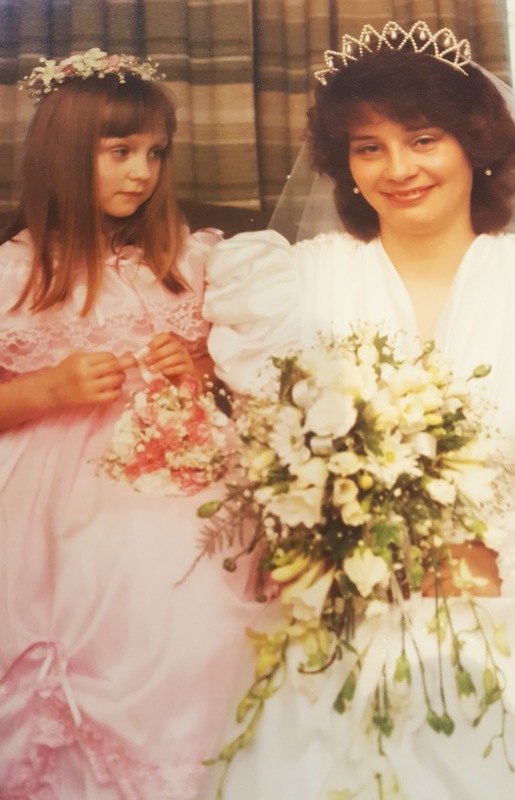 A tale of two wedding dresses | Is This Mutton? 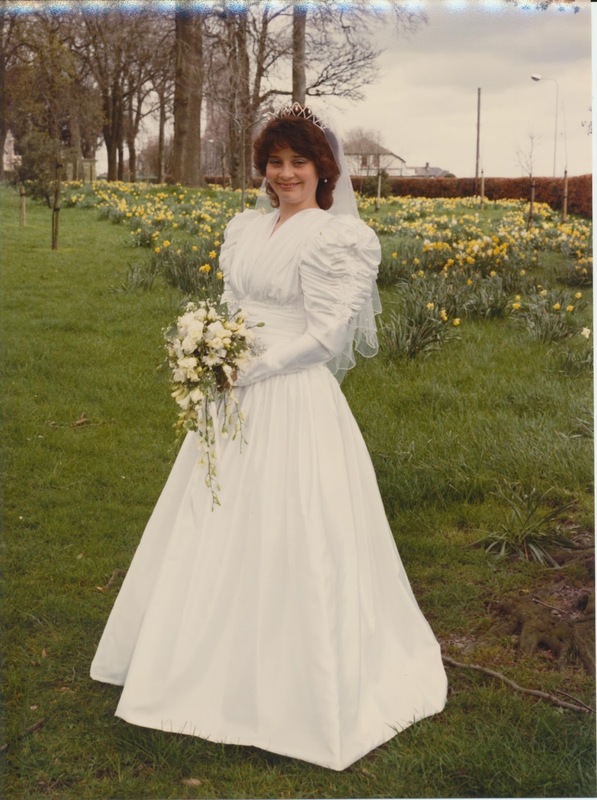 For my first wedding in 1987, I had walked into a bridal shop in Exeter and the right dress jumped out at me almost instantly. In those days dresses were big, like our hair and shoulder pads. The "Little Bo Beep" look was popular. I didn't go exactly down that road. Just halfway. 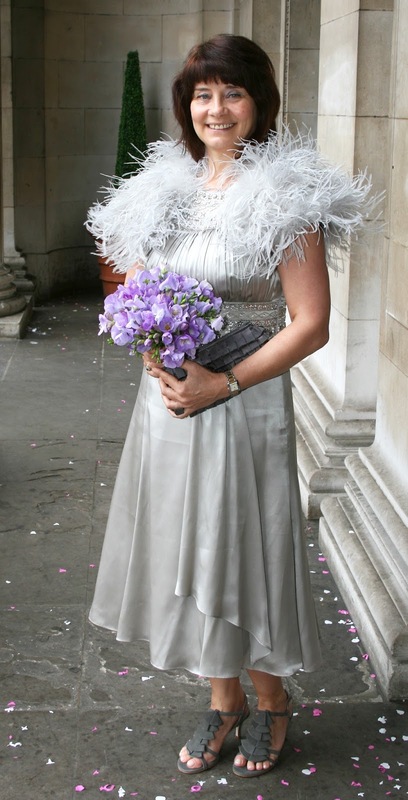 My dress did have a hooped petticoat and huge sleeves but it was by up-and-coming (then) brand Pronovias and I loved it. It was around £450 which seemed a lot of money then. I had a veil studded with pearls to match the tiny pearls on the sleeves. I regretted later that I hadn't taken my mum with me to help to choose it. She seemed disappointed when she knew I had already got the dress, veil, pearl headdress and everything else. 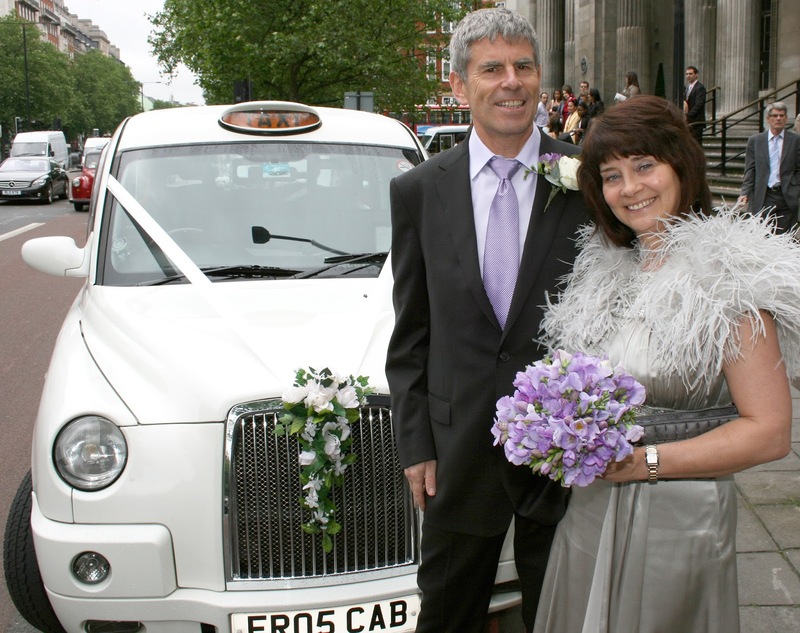 So when I knew I was getting married again in 2010, I took mum with me. Like Rafaella, I had been feverishly studying websites and buying bridal magazines. (I still would if it didn't seem strange - I just love bridal magazines!). I was not keen on wearing white or shades thereof, but wanted something special. But a lot of the dresses I saw were a bit "mother of the bride," or too young looking. The Dress turned up in an unexpected place, Monsoon in Plymouth. I'd spotted the dress online but I didn't know how it would look in real life. Even when I tried it on, it was difficult to tell if it was really right for me because it was January and I was carrying an extra 7kgs. It was tight around the middle. But I loved the fact it looked glamorous - particularly with the feather boa that Monsoon helpfully provided - and felt "me." I didn't try it on again until about three weeks before our big day. I had been dieting diligently but was afraid the dress would still not look good. I was thinking I had enough time to find another one. But it slipped on like a dream. And the colour was perfect, even though my mum had had sore misgivings, silver not being one of my colours according to Colour Me Beautiful. The silcer looked great with my chosen purple and violet flowers. I had some dainty sandals from Boden and a grey clutch from M&S. So there you have it, a tale of two dresses. I'd love to see your wedding dress (es). Looks lovely! That feather boa is outstanding! Lovely second dress -- you look just right, definitely not "mutton dressed as lamb"! The first dress could actually still work for a 2017 bride, with a simple reworking or removal of the sleeves.